As a business owner, you need to ensure 360 degree protection of your premise. Even a minor oversight can cost you a fortune. For instance, based on the recommendation of your security advisor, you’ve got a smart sensor lock installed on your front door. However, did you stop for a second glance at the door on which it was installed? If your door’s condition is dilapidated, then perhaps it’s time to rethink your strategy and start from level one. What makes doors the basic elements of security? Even if you’ve got the world’s best lock installed on your door, if the door itself lacks integrity, then it’s only a matter of time before your security is jeopardized. An intruder only wants to gain access, and it doesn’t matter how it’s achieved. If your lock is unbreakable but your door isn’t, there might be miscreants out there who’re waiting to exploit this lapse. Get the basics right. Sturdy doors bearing no signs of deterioration and supported by the best doorframe, will enhance your security. Visible dents, or any glaring signs of damage call for an immediate door repair. For reasons stated above, you cannot neglect the basic elements of your security and need to adopt a remedial course of action right away. The door might also go off-track, the hinges might be rusted or you might notice deterioration in the way it operates. In a majority of the cases, the door can be fixed and restored to its former glory; however, if the damage is too severe, or the build-quality is poor to begin with, a replacement might be in order. 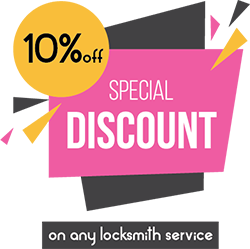 Consult with the business locksmiths from Long Island City Locksmith Serviceto get feasible solutions. Experienced an attempt at a break-in that resulted in damage? Can’t wait until morning? 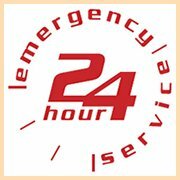 Don’t worry, our door repair solutions are available round-the-clock in Long Island City, NY area. We’ve got fully stocked mobile vans that carry all the necessary tools and the necessary hardware needed to fix up your door. 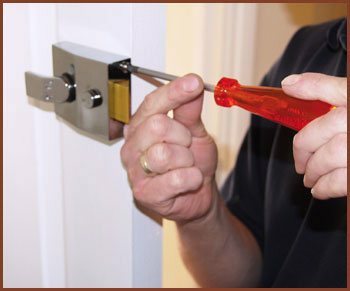 For affordable and quick door repair solutions, reach out to us on 718-971-2373 !